The Warrior desktop corner rounding machine supplied complete with a 6mmround corner cutter. Ideal for round cornering card, laminated work and even some plastics. This robust machine can handle up to 10mm stack of stock and the round corner cutters are easily changeable. Other round corner cutters available are 3.5mm & 10mm. You can add these by selecting the correct option from the dropdown box above. A straight cutter die is also available for use on this round cornering machine as well as calendar thumb cut die and a 6mm single hole punch, these will also require an extra back stop kit. 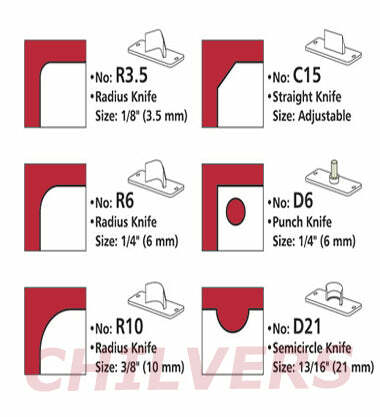 Ideal for cutting corners on card, laminated stock even some plastics. Supplied with a 6mm corner cutter die, cutter pads, hex tool for die change, set up tool and instruction manual. Optional cutters /Interchangeable cutter dies, 3.5, 6 and 10mm radius.